Meet Hoot. He’s a little bit special because he was the inspiration behind the knot studio. 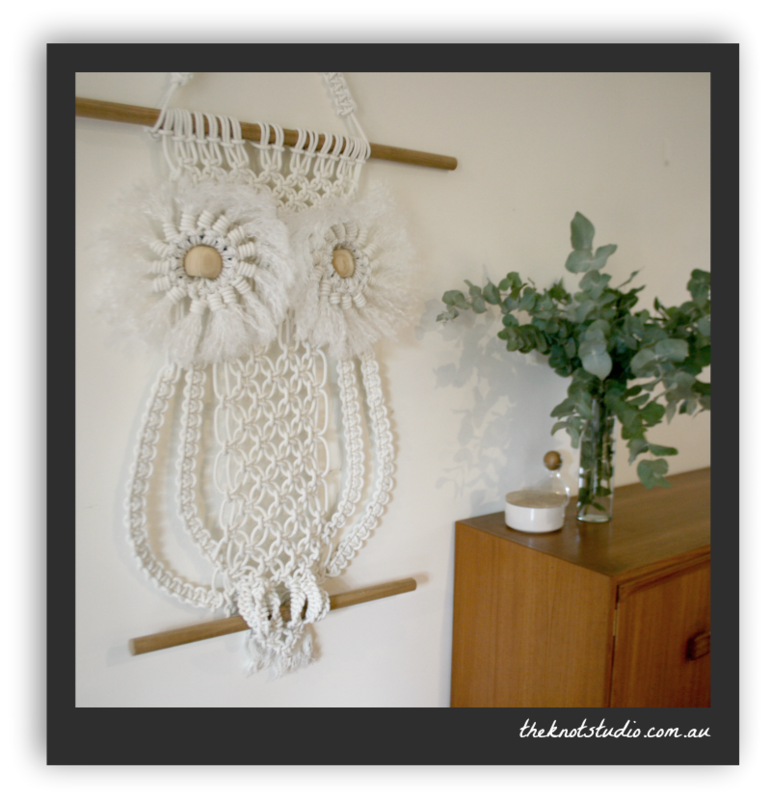 It all began with a flashback to the making of a macrame owl in primary school, a bit of googling and some scouting around for old macrame patterns. 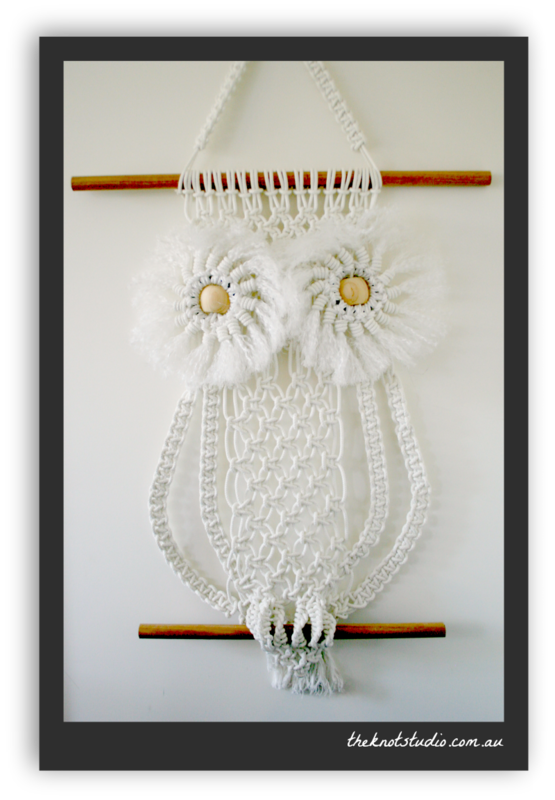 Hoot was based on this simple pattern, with a few variations and a bit of trial and error along the way. He was also inspired by this amazing piece of mega macrame by Andy Harman – but it wouldn’t quite have fitted in the lounge room!